Congratulations! Your baby is on the way. 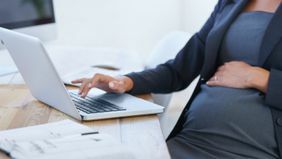 With the rush of emotions comes a job stressor: How to prepare for maternity leave and arrange coverage for while you're out. With a little prep and a lot of communication, the transition doesn't have to be difficult. It's about making sure you, your boss and your coworkers are sufficiently prepared in your absence — which means you won't feel pressure to check in until you're back on the job. It's a good idea to start this doc during your second trimester so that you're tackling it before you get into the "baby could come any day now" scramble. You take pride in your work, so it can feel painful to hand over valuable clients or projects to just anyone. Have conversations with your boss and team members to ensure that your duties will be treated with the same care that you give them. Chances are, there won't be just one person taking over everything. You'll likely want to choose different people for the more task-based aspects of your job versus the more strategic ones. Once you've decided who is going to do what, add those names to the document outlining your duties. 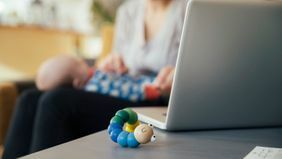 Be upfront about what role you want to play, if any, while on maternity leave so you can help quell those “emergency” calls. In which situations is it OK to contact you, and by what methods (text, email or phone)? Also, do you plan to check in once a week, once a month or never? You may, for instance, want to know if there's a major hire on the horizon or if a big client is threatening to walk, but choose to wait until you're back from leave to talk budgets or changes in process. You should decide what work absolutely must be done by you, what should be delegated and what can wait. And even if your departure date is still weeks away, it's also a good idea to share emergency contact information for your spouse, doctor's office and hospital so that your coworkers know who to call if you go into labor in the office. If you still need to work out the details of your departure date with your boss or tap human resources for any benefits-related questions, block out time for that on your calendar. You may even want to create calendar appointments for tasks like cleaning out your desk or organizing your office. Your time will be in high demand before you leave, so don't let your schedule get away from you without getting stuff done that will help your sanity once you return. 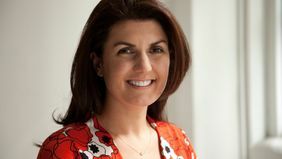 Be upfront about what role you want to play, if any, while on maternity leave. 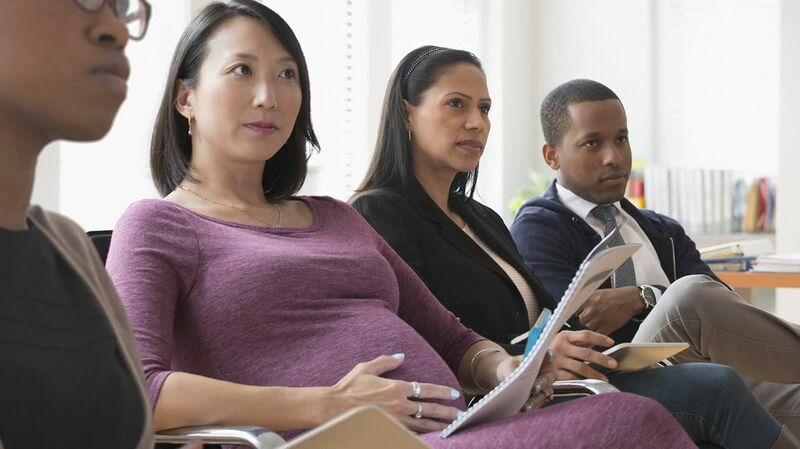 In your last trimester or even sooner, ease the transition for your coworkers by introducing them to clients or other teams they'll have to interact with while you're gone, and start including them on important meetings. Then shortly before your departure date, set up your email out-of-office message and your voicemail. About two weeks before you intend to return from maternity leave, consider scheduling a casual coffee or lunch date with your boss or team. You can catch up and socialize so when your return date rolls around, you can be ready to tackle work — and get out the door that much faster at the end of the day.